Ravenous, mean, cunning, cagey, crafty and insidious just about sums 'em up. They are all about one thing and one thing only to destroy, kill and eat. But the wolf that comes in the darkness as the sun is going down is the worst! After a day of infuriating hunger, it is more fiercer and ravenous than in the morning. The wolf is ready to pounce and kill. It can creep up slowly and alone, stalking, stealthily catching the scent of the innocent and unwary or it can come in packs, howling hideously, striking the foe with a force unparallelled, surrounding and tearing the victim/s with a torturous ferocity. When I was thinking about wolves especially wolves in the dark and their cunning, my mind wandered to how like the wolf is our doubts and fears. 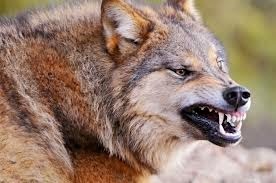 After a big day at work, or minding kids, or worries about finances, or concerns for ill family members etc, after our minds have been bombarded and distracted with all sorts of 'things' along comes our wolves with their fangs ready to attack. Maybe our wolves in the dark come calling after a huge loss in our business dealings or crashing superannuation or maybe even sarcasm and derision about our faith. "Where is your God now'? Our thoughts and minds tell us - 'Why wasn't He there when I needed Him"? How ravenous and voracious are our dark wolves - filling our minds and hearts with apprehension, confusion and dilemmas. How greedy are these dark shapes all around us when we let them in? they gobble up any suggestion of well-being and rest. They can completely annihilate our confidence; smash reliance on our Lord and utterly destroy any thread of our resoluteness to our God. Wolves love to gash and mutilate the unwary sheep supposedly safe and warm in the fold. They love to attack at night when the sheep are sleepy and non-watchful. We are so much like those sheep - so vulnerable to attacks by the wolves in the dark. When we are distracted and have taken our eyes off the Shepherd. when we have wandered away from Jesus and away from the main flock. Our doubts and unbelief can overwhelm us if we listen to the lies of Satan - the fangs of the wolves are so ready to tear us down if we don't stay as close to God as we can. The dark wolves of doubt and fear won't come anywhere near us during the 'faith-filled' days when we have our hearts and minds centred on our Captain. It is only in the dark days when we are weakened by circumstances that the wolves of doubt and despair come rushing to wipe us out, encircling us with uncertainty, rejection and indecision. Doubt and despair can paralyse and debilitate even the strongest of Christians. Pressures come at us constantly; sometimes it feels like we have been hit by a Mac Truck; they bowl us down with relentless regularity. It is in these very same times we MUST turn to our God; the God who wants so badly to have a REAL relationship with us; to love us; to comfort us and to help us to regain our focus on Him. 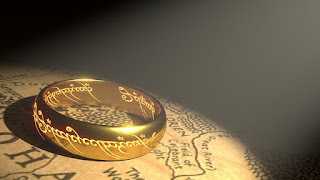 Amazingly as it sounds God sees us a "treasure" and if He sees us that way then that is precisely what we are - let God's truth help us to re-focus on the treasure that is within us and not look at the dark wolves of despair and doubt circling around us with drooling fangs. When we take our minds off Him and start to concentrate on our frail little lives then despair and desperation will be the natural result. But when we see ourselves as God's "Treasure" we can be reborn and revived in Him. Not only that but our "treasure" can 'slop' out all around us for others to see. What an amazing transformation we would see; and it would certainly exterminate any wandering dark wolves that may come a-calling one dark night.